When your dog has an itch, he lets you know. You may hear his alarm bells – the clinking of his tags as he vigorously scratches around his collar. Or he may be more direct in coming to you to scratch a spot he can’t reach. However it happens, and whether he knows it or not, your dog needs you to help him stop the itch. Unlike humans, dogs react to allergens primarily through their itchiness. This is due to the large amount of mast cells found in their skin. It’s best to allow your vet to determine what the root issue is – especially if your dog is scratching his skin open as those wounds will need to be cleaned and your dog kept from picking at them to avoid infection. Diagnosing the reason for your dog’s itching will help you know how best to treat it. Whatever your vet tells you what the problem is, ask how your dog’s endocannabinoid system might play a role in providing relief. 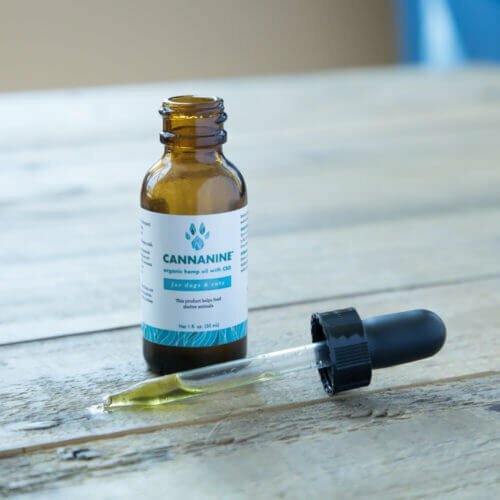 What is the Endocannabinoid System, and How Does CBD Interact with it To Help My Dog’s Allergies? The endocannabinoid system was named as it was because the cannabis plant helped lead to it’s discovery in 1992. It consists of two different kind of receptors that are found all over the body – including our organs, tissues, glands, and immune system. Depending on where the receptors are in the body, they respond a little differently, but the goal is always the same: to maintain balance in the body despite whatever is going on outside of it. Our bodies naturally create chemicals that stimulate these receptors, but they also respond to phytocannabinoids – chemicals created by plants, like cannabidiol, also known as CBD. CBD has gained a lot of attention recently as researchers have discovered how this incredible, totally safe and natural chemical helps promote such a positive response from our bodies. Scientific studies and many users have found a number of uses for CBD oil, not least of all as relief for some serious allergic reactions, including allergic dermatitis and allergic asthma – itchy skin and difficulty breathing due to allergens. It’s important to tackle the problem at the root, like getting rid of fleas or throwing out food that causes an allergic reaction in your dog. 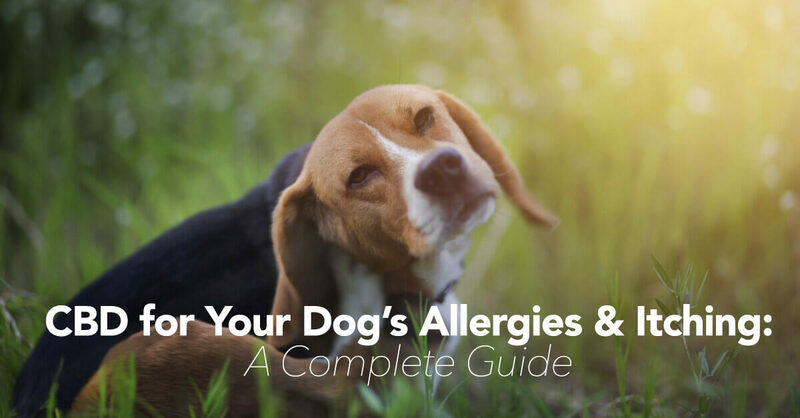 But allergy symptoms can cause so much pain and irritation, it’s a big relief and a definite step in the right direction when it comes to taking care of the ones we love most: our dogs. We don’t know the exact reason CBD seems to help many dogs with their allergy symptoms, but the reason my be due to the powerful anti-inflammatory effects of cannabidiol. Multiple studies  have confirmed its anti-inflammatory effect on the body, and more research is being done every month. CBD’s effectiveness on your dog’s allergies may be related to its powerful anti-anxiety and calming effects. 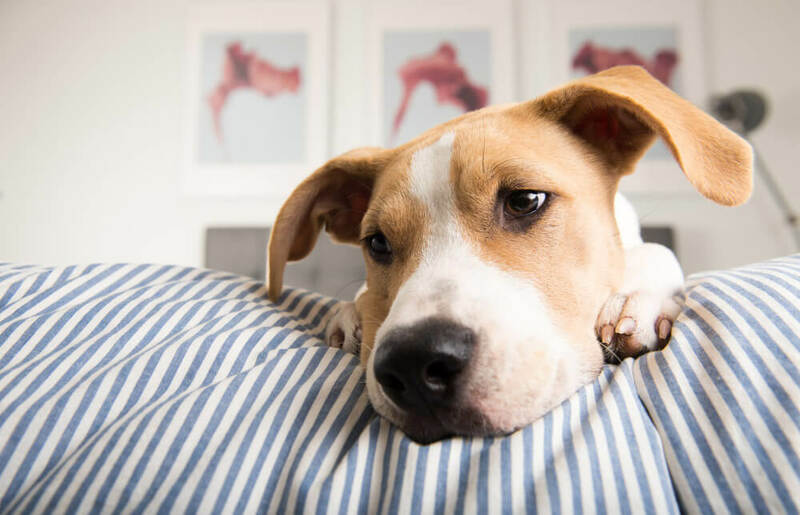 Many dog owners first stumble upon CBD while searching for a tool to help calm their dog’s separation anxiety, travel anxiety, or noise anxiety. CBD’s powerful calming effects have been witnessed by both people and dogs alike. 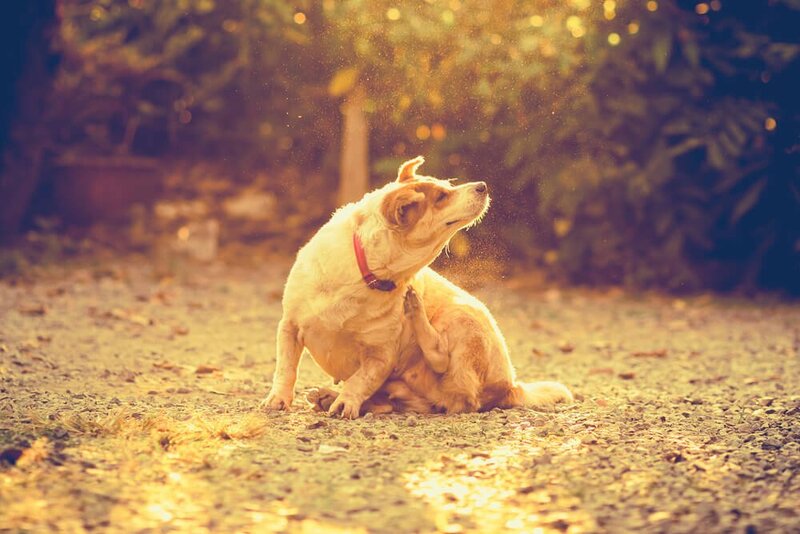 In addition, giving your dog CBD oil will help bolster his immune system and reduce his need to scratch, perhaps even getting rid of the symptom altogether while you deal with the source of the itch. When choosing a CBD product for allergies, we’d highly recommend choosing an oil tincture as opposed to treats. This is simply because there’s less ingredients, usually the CBD oil itself, along with a carrier oil such as MCT oil (coconut based) or our preference, Hemp Seed Oil, a great source of omega-3 fatty acids, which also helps allergy symptoms.